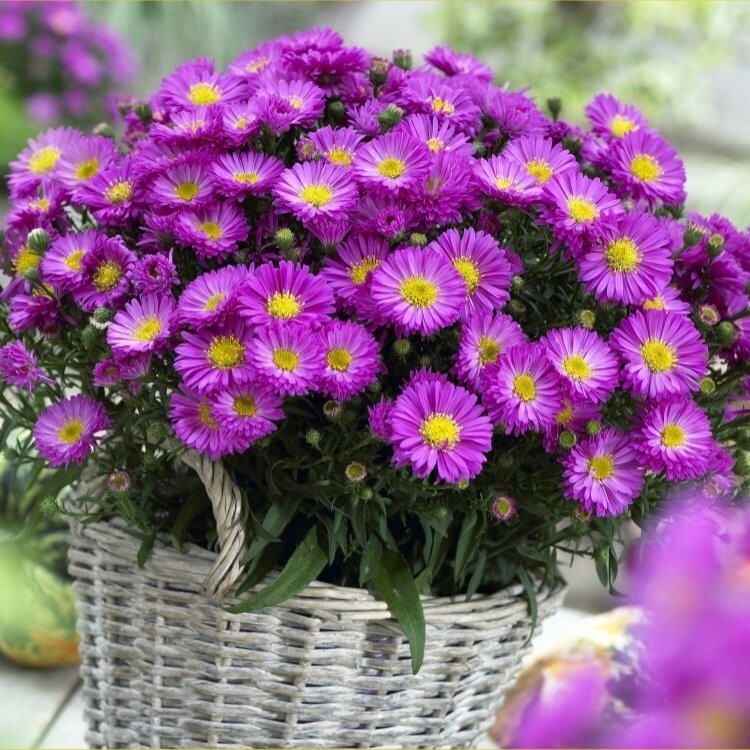 These Flowering Michaelmas Daisies make a Spectacular show from late summer throughout the Autumn period, and are perfect to fill the garden with a beautiful show of bright colour when few other plants are putting on such a vibrant display. 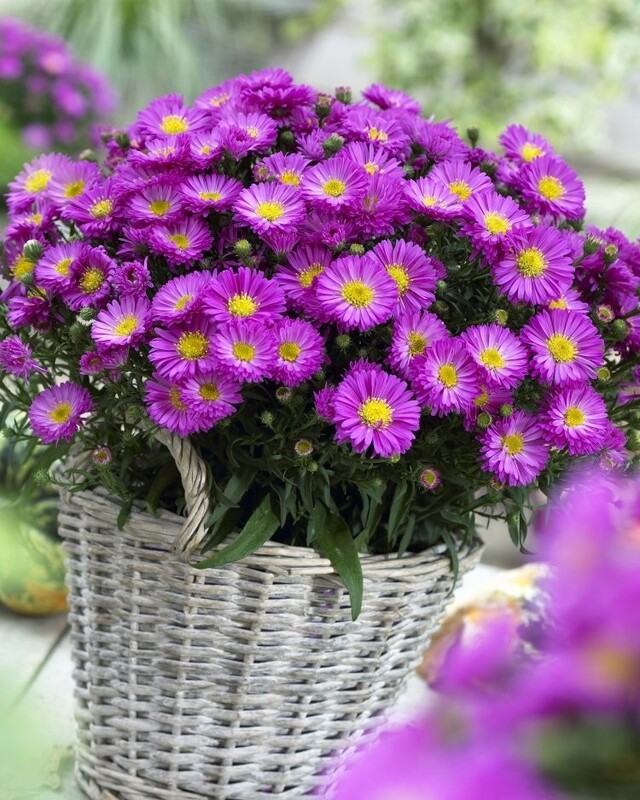 Perfect for a cottage garden, or a modern setting in patio planters, these are easy to grow and provide fantastic colour year after year - attractive deep green foliage is studded with the masses of daisy blooms, and the plants are great combined with other plants and textures in the garden too. The Pink Topaz Aster will love a bright sunny position, and form a neat dome up to around 50cms tall each and every year, being a fully hardy herbaceous perennial. It will tolerate poorer soils too and absolutely thrive with minimal garden care. 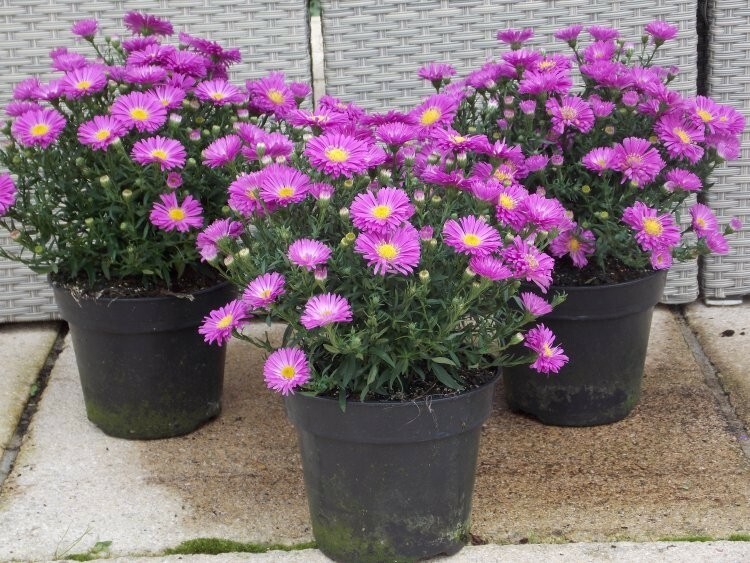 Pack of THREE Hardy Perennial Plants of Aster Pink Topaz, supplied in approx 2-3 litre pots, covered in flowers in season, just one plant in a smart planter could recreate the look displayed instantly!